Más de 240.000 personas han visto ya el vídeo que los productores de ‘El Hobbit‘ han colgado en Internet sobre los preparativos del rodaje. Está en inglés y en realidad es un vídeopost del blog oficial sobre el rodaje; pero merece la pena dedicarle los diez minutos que dura para hacerse una idea de las dimensiones de la producción que comanda Peter Jackson. Me ha hecho gracia ver que han pixelado las imágenes con las pruebas de vestuario que cuelgan al fondo de una de las sastrerías (hay que dejar sitio para las sorpresas) y me ha emocionado ver a Gandalf, perdón, Sir Ian McKellen, repasando el guión antes de un día de ensayos complicado. Lo último que se comenta en la web sobre esta película en dos partes que llegará los cines en dos entregas (diciembre de 2012, diciembre de 2013) es el abandono del actor inglés Rob Kazinsky, que deja la producción “por motivos personales”. Kazinsky, que interpretaba a Fili, es un actor muy popular en Gran Bretaña gracias a la serie EastEnders. 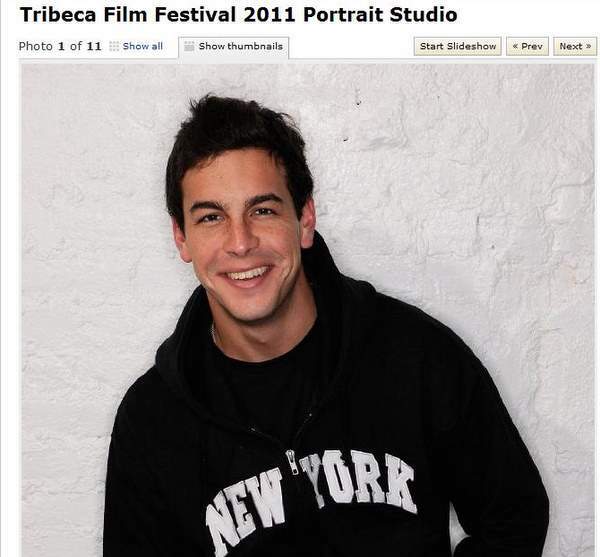 Y aunque no tenga absolutamente nada que ver con esto, no puedo dejar de comentar con vosotros que en Imdb, la biblia de los asuntos del cine, ha colocado una foto de Mario Casas en su fotogalería especial dedicada al festival de cine de Tribeca. Allí está nuestro Mario (alque acaban de premiar los críticos de Nueva York) entre las fotos de Robert De Niro, Ryan Phillippe, Malin Akerman y Taylor Kitsch, presentando ‘Carne de Neón’. Actualización 12.00 horas. Me escribe José para sugerirme que ponga el vídeo con subtítulos en español Yo lo había visto, así que sigo su consejo, y lo cambio. Gracias, José. La verdad no sé a qué viene el último párrafo, vaya manera de hilar. Diana, tas pasao poniendo una foto del pavo este. Córtate un poco que eres una profesional, si eso, esperas a mañana y tienes tema que publicar, pero si estás hablando del hobbit, hablamos del hobbit. ya meten al Casas este hasta en las noticias para los freakys, que hartura por dios. Los nombres de Sir Ian McKellen y Mario Casas NO pueden ir en el mismo post. Pero bueno, que hace el tio ese en este artículo de el Hobbit. 4996412 beers on the wall. I completely agree with you on that one! Hey there! This post couldn’t be written any better! Reading this post reminds me of my previous room mate! He always kept talking about this. I will forward this page to him. Pretty sure he will have a good read. Thanks for sharing! Youre very welcome, Mary. Id love to hear your thoughts on it if you decide to give it a try. I have read, understood, after the problem! Peculiar this post is totaly unrelated to what I used to be searching google for, but it surely used to be listed at the first page. I suppose your doing something right if Google likes you adequate to place you at the first web page of a non related search. Howdy! I could have sworn I’ve been to this site before but after checking through some of the post I realized it’s new to me. Anyhow, I’m definitely delighted I found it and I’ll be bookmarking and checking back often! I think that may be a fascinating point, it made me suppose a bit. Thank you for sparking my thinking cap. Infrequently I get so much in a rut that I simply feel like a record. He.. nicly done this one it’s not the first time i have read a psot of you. The way how you build things up is nice. So keep on going. Excellent points?I might notice that as anyone who really doesn’t write on blogs much (in truth, this can be my first publish), I don’t suppose the term ‘lurker’ may be very changing into to a non-posting reader. It’s now not your fault the least bit , but perhaps the blogosphere may just come up with a better, non-creepy identify for the 90% folks that experience studying the content material . I like that you put superb content out that is fine and well-written. Excellent read, I just passed this onto a friend who was doing a little study on that. And he really bought me lunch because I located it for him smile So let me rephrase that: Thanks for lunch! There are several posts on the market near this, I do think taking there reference could experience made this spot or article really informative. That’s not me expression this post is not good. Simply Need to pronounce which the info provided here was unique, merely to make it more very near to complete, supporting along with other former information get been actually good. The points you will get touched listed here are vital, thus I’ll spot a lot of the information here to develop this actually good for entirely the newbie’s here. Many thanks this info. Actually helpful! Hi there, It’s posts like this that keep me coming back and checking this blog regularly, thanks for the info! We absolutely love your blog and find the majority of your post’s to be exactly what I’m looking for. can you offer guest writers to write content available for you? I wouldn’t mind producing a post or elaborating on a few of the subjects you write with regards to here. Again, awesome web site! Really interesting topic, love to see more. For once, I merely wished that people today could take a step back and look at the large image. We tend to usually tend to get lost in most the particulars that we put aside related to what surely is important. It’s why even though the previous remarks previously mentioned do offer superb details, these are off a touch. I love your site. It is so inspirational. Good post. I learn something more difficult on different blogs everyday. It is going to always be stimulating to read content material from different writers and apply slightly something from their store. Iíd favor to make use of some with the content on my blog whether you donít mind. Natually Iíll provide you with a link on your web blog. Thanks for sharing. Hiya, I just hopped over to your web site via StumbleUpon. No longer something I would generally learn, however I appreciated your emotions none the less. Thanks for making something worth reading. Strange this put up is totaly unrelated to what I was looking google for, however it was once indexed at the first page. I suppose your doing something right if Google likes you adequate to place you at the first page of a non related search. Howdy, I simply hopped over to your website by means of StumbleUpon. No longer one thing I would usually learn, but I favored your emotions none the less. Thanks for making one thing value reading. Amazing blog. I saw your blog on Google searching for “HobbitmanÃ­a Sin efectos especiales”. Thanks! I’m typically to blogging and i really recognize your content. The article has actually peaks my interest. I’m going to bookmark your web site and preserve checking for brand new information. שלום, רציתי להמליץ לכם על אתר מדהים בתחום האיפור! you have a great blog here! would you prefer to make some invite posts on my weblog? Very informative, hope to see more in future.